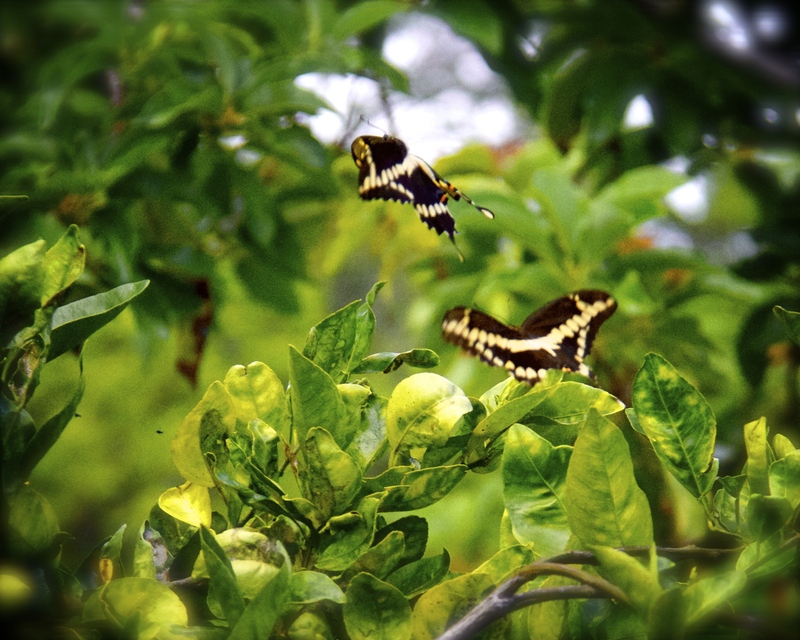 Last night Winston and I were planting the garden (for pictures go to wigglebuttvizsla.com) when these two beautiful Giant Swallowtail’s flew by us. I then became curious to see if we had any caterpillars and to my surprise we do. 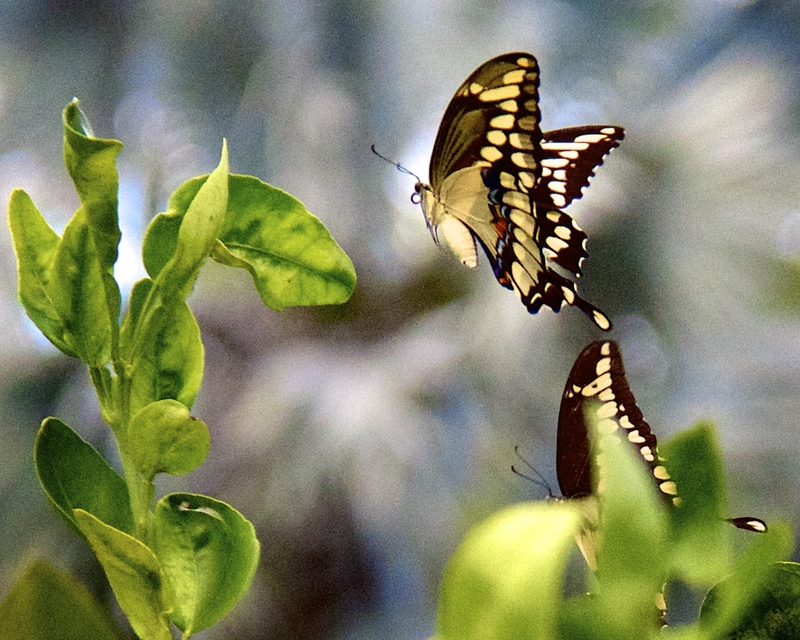 The common trait in all these swallowtail species is the extension at the rear end of their wings, which makes them look like the swallows – and hence the name. Matt and I had the Eastern Black Swallowtail take up residence in our fennel plant last month. I have amazing photographs yet to post of this incredible butterfly. 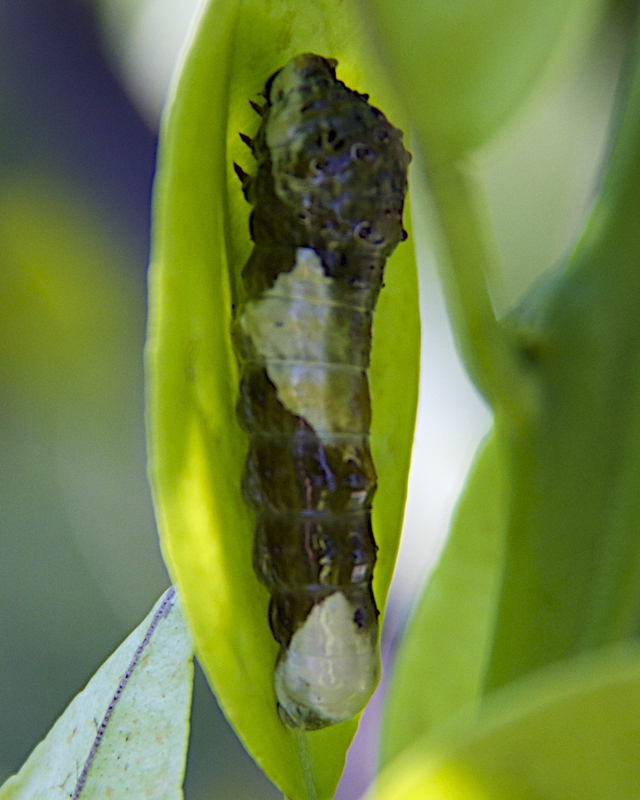 The Giant Swallowtail Caterpillar is definitely an “Ugly Duckling” Story. I have never seen an uglier caterpillar! It looks like bird droppings. The Caterpillar is called an “Orange Dog” because it is often found in Orange trees. In fact, he is in our orange tree. 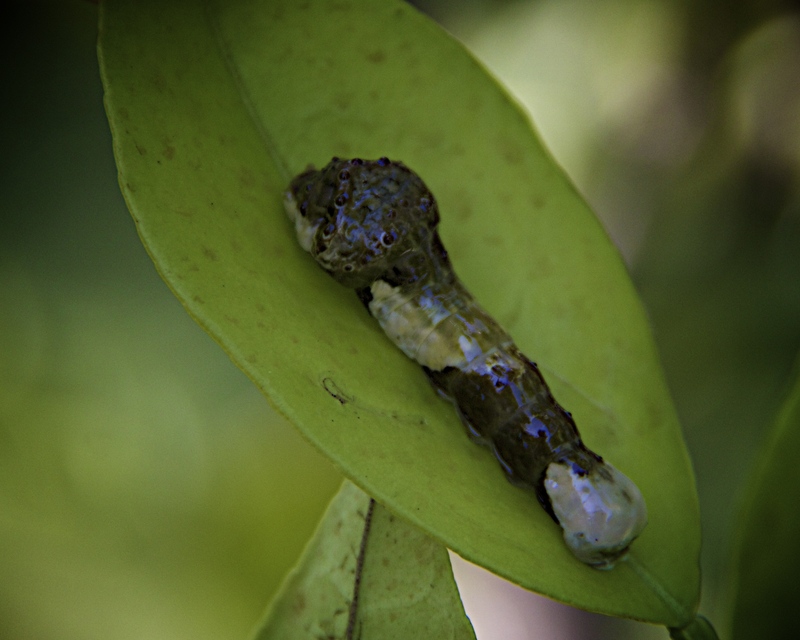 Many citrus growers would consider this caterpillar a pest. I however am excited, and hopefully will get pictures of his chrysalis, and if extremely lucky,it transforming into a butterfly.